Charlie Engle’s “fascinating account of the high and low points of his life as an ultramarathon runner…is uplifting and inspirational” (Publishers Weekly) as he describes his globe-spanning races, his record-breaking run across the Sahara Desert, and how running helped him overcome drug addiction—and an unjust stint in federal prison. Charlie’s growing notoriety led to an investigation and a subsequent unjust conviction for mortgage fraud for which he spent sixteen months in federal prison in Beckley, West Virginia. While in jail, Engle pounded the small prison track, running endlessly in circles. Soon his fellow inmates were joining him, struggling to keep their spirits up in dehumanizing circumstances. In Running Man, Charlie Engle tells the surprising, funny, and emotional story of his life, detailing his setbacks and struggles—from coping with addiction to serving time in prison—and how he blazed a path to freedom by putting one foot in front of the other. 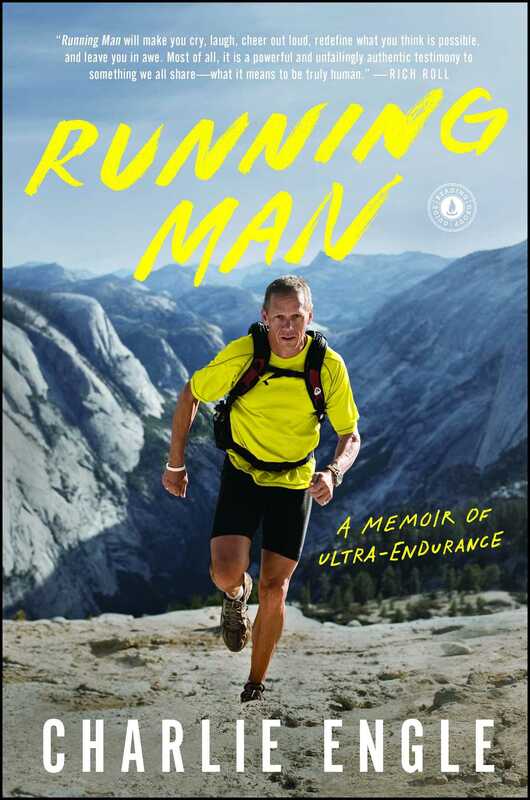 “A fast-paced, well-written account of a man who accepts pain, pushes beyond imagined limits, and ultimately finds redemption and peace” (Booklist), this is a raw and triumphant account about finding the threshold of human endurance, and transcending it.